BounceBack: Effective, affordable, measurable cash register solution to retain customers for small businesses in the US using printed coupon tapes. Turn Your Receipts Into Coupons. Turn Your Receipts Into Coupons. 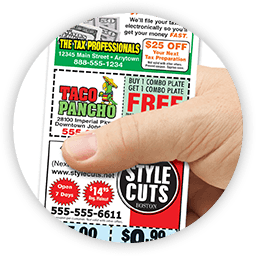 We print the coupons at the back of the cash receipts and transform the receipts into coupons, deals or discounts to increase the number of repeat customers to your own store. swell up your business sales? It's easy to boost up your franchise business now without worrying too much about your individual marketing burdens. The BounceBack program provides your store with register tape coupons to make the customers visit again and again for your special offers, discounts or deals. Do you have a franchise business? Do you have a franchise business? The BounceBack program can provide your restaurant with register tape coupons to make the customers visit again and again for your special offers, discounts or deals. Bounceback program makes use of the back side of the cash receipts to professionally design colorful ads (exciting coupon offers, deals or discounts etc) to motivate the customers to visit your store again and again. This eliminates most of your individual marketing burdens (financial or otherwise) with much better results as compared to conventional mode of marketing to increase your business sales. BounceBack helps advertise using the receipts that are handed over directly to the customers, thereby, offering you a highly cost effective marketing solution for your business. To help the franchise owners with a unique plan to engage and re-engage the customers on regular basis. The program aggressively mobilizes your customers through attractive coupon offers, deals or discounts etc printed at the back of the cash receipts delivered at your own stores. Because many known business brands like Subway, Dunkin Donuts & Baskin Robbins stores are already into direct contract with us to engage the customers to their business using our program. 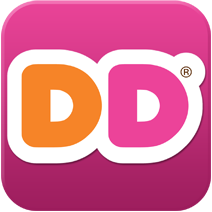 "We initially started with 4 Dunkin Donuts stores and the results were phenomenal! The customers, even in our off-peak hours shot up to 200%. We loved it so much that we are now using BounceBack on all our stores." Gunjan started BounceBack on 4 of his stores and is now proud customer of BounceBack running on 25 stores within a single year. 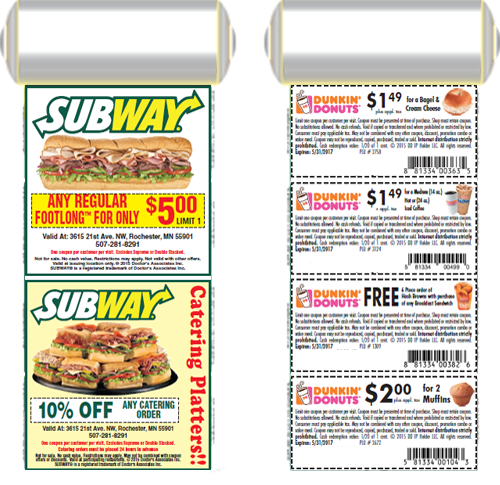 Pick up different coupons or ads to distribute at your own store. As an advertiser, you have the freedom to pick up different coupons to distribute. This gives you the flexibility to play around with your offers and combinations. In addition, one roll of tape contains over 900 double-sized coupons! Aside from a good number of impressions, you actually get more impact with a lot more space to utilize for each ad. Just one roll of tape consists of over 1900 of your printed coupons! Through the BounceBack Method, you are placing your coupons directly into the hands of your customers. Not only are you giving your coupons away to consumers with purchasing power, you are also increasing your chances of a repeat sale. The more offers, the more chances of your customers coming back! Order as much or as little as you need good product. Couponing has become a more and more popular activity among shoppers and with today's smart customer, it's bound to gain more attention. As the business owner, your job is to figure out what your consumers want. 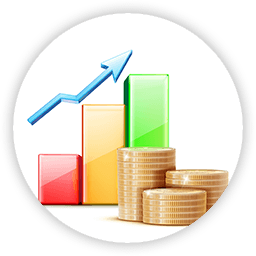 The BounceBack Program gets your money's worth by providing you with direct measurable results. 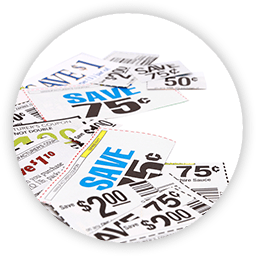 Know how well your marketing strategy works by counting the coupons you get back; it's that simple. BounceBack allows your business to hand out your own coupons to anyone who purchases from your store. By having your coupons printed out on the back of the register tape, their distribution is effectively and efficiently achieved. We use the receipts you are already handing to customers to promote your business with our BounceBack Program. Click the images below to see larger sample advertisements. A small cost to set up the business becomes a proliferating ground for multi-fold profits: your receipt with attractive offers brings customers back to your business, driving repeat sales. Encouraging repeat sales increases your chance of creating a long-time customer. This fact is well authenticated by a data from SumAll Analytics which suggests that businesses with 40% repeat customers generate nearly 50% more revenue than similar businesses with only 10% repeat customers. We allow you to decide the content for your business promotion (customer surveys, special offers, help wanted, contest registration etc.) so that your targeted customers could be addressed efficiently and effectively. You choose the content to be printed; we design, print & deliver it for you. We won't print unless you approve the content. Choose between 2 different sizes of ads - single and double. Each case of 50 rolls has ~ 100,000 ad/coupon spaces. A small percentage of coupon redemption can help you recover your cost. The rest is all profit. 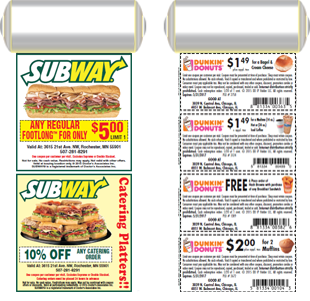 The more cases you order = More number of unique ads/coupons that you can get printed. This increases your business sales by about 20 - 50 %. The BounceBack Program, therefore, can provide fast, immediate and consistent results in terms of increasing sales of multiple businesses undertaken by franchise owners.